You may learn a lot from these videos about rugby which feature steps, moves, unusual skills, mistakes to avoid, unusual rules worth knowing. This video contains a range of different clips about rugby. Videos on other pages concentrate on particular parts of the game. Fullback Ben Volavola for Southern Districts gets away a superb swift pass. Notice in the slowmo how he takes only half a step prior to the pass. From 10 metres out number 6 blindside flanker Timani battles his way to within a metre of a try. Unable to make the line he releases a great flick pass. Australian winger Nick Cummins catches the pass and scores in the corner with a spectacular leap. Often cut out passes are made with little or no benefit. Not so here! An expertly performed cut out sees the wrong man tackled. Right winger Nick Cummins made the pass. What was he doing there? You don't have to stay on your wing. You can get involved! Watch how he tracks the left winger all the way down the left touchline! Great result, a huge gain in ground - almost created a try! 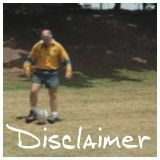 In this clip a player is driven off the field and head first into nearby wooden fencing. This shows how important the 5 metre perimeter area is for player safety! Sometimes the best thing you can do with the ball is to give it to another player...FAST! This is a great example. Notice how the player turns as he passes - good for accuracy and for protection. Sydney Uni show how to move the ball to a less well defended area of the field. A good pass from the scrumhalf, a cut out pass, two swift 'relay' passes and another cut out. It doesn't get much better than this! Australian flanker Scott Fardy shows he has kicking skills when he finds touch with a long bouncing grubber kick. Harmless tip-toes forward towards the defender followed by a vicious change in direction. Serve up something unexpected with EvtecHs. Video credit: We acknowledge Fox Television and the Australian Chanels 9, 10 and ABC as the sources of clips in our video pages. We thank them and recommend watching their coverage of rugby. Scroll down for videos concentrating on particular parts of the game. You're the ball carrier and you're about to meet the defence. You want to break through and score. They want you - on your back! You'll shine when you can do what these players do. Do you get the ball away even in tricky situations? Maybe learn a thing or two when you see the clever passess some players make. Some odd things happen in rugby matches. Learn a bit about how to deal with the unexpected things that happen in a game. 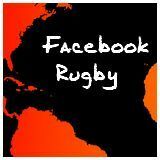 The rugby video clips which are available in this section of the site are created either from our our own video or from video from others for which we claim fair use. In all cases we believe that the way we have used the video has "transformed" the material. We have taken as little material as possible, whilst maintaining context. Our aim in providing these clips is to make it available so that viewers can learn from and discuss the skills displayed, the mistakes made and the rules identified. We also hope to promote discussion. If you feel that your copyright has been infringed by our use of your material please contact us and we will review our use.